This recipe is one you just can’t pass up. 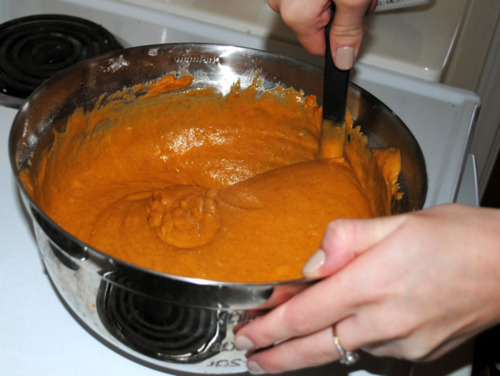 Incredibly easy to make and always delicious, this pumpkin bread recipe is to die for. 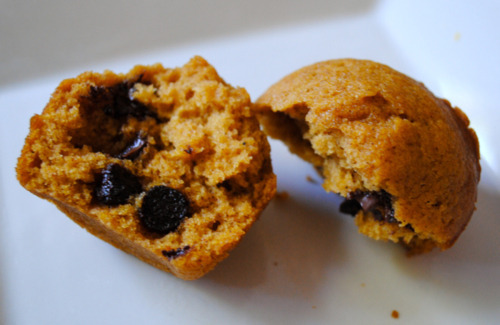 To add a little something extra, I decided to add chocolate chips and make them muffins instead of loaves. Parfait! 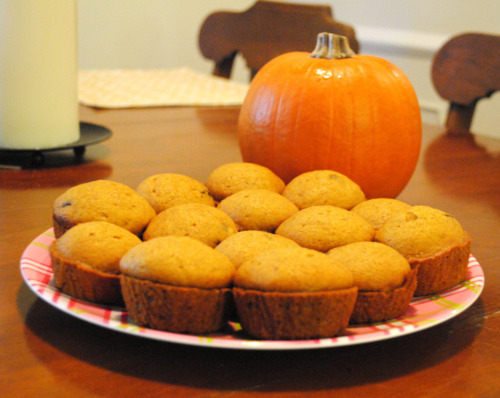 Thanks to Katherine Crenshaw who assisted in preparing these amazing muffins and snapping photos! 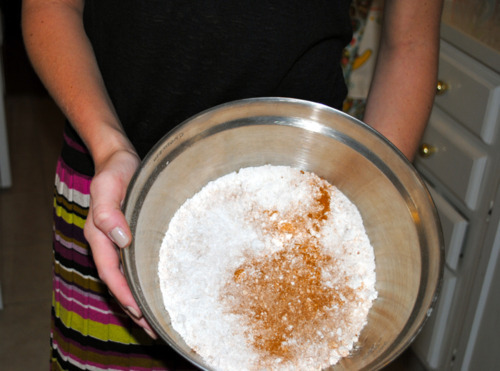 Mix together 3 1/3 cups of flour, 2 tsp baking soda, 1 tsp nutmeg, 3 tsp cinnamon and a dash of salt together in a large mixing bowl. 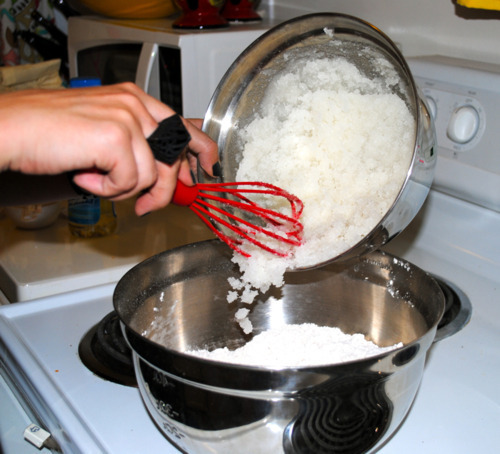 In a separate bowl, combine 3 cups of sugar and 1 cup of Crisco oil, then add to the bowl of dry ingredients. 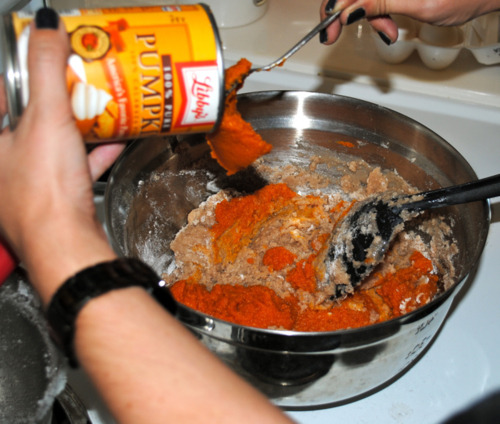 Next add 2/3 cup of water, 1 can (16 ounces) pumpkin and 4 eggs to the large mixing bowl. Mix well, add chocolate chips, and then pour into three 8 or 9-inch loaf pans (or do it my way and pour into 5-6 cupcake pans). If you choose to do the loaves, bake at 350 for 1 hour or until done – for the muffins, bake at 350 for 20 minutes or until done.